Alexander, K.N.A. & Denton, J. (2005). 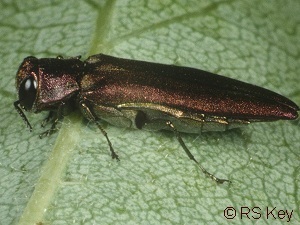 Agrilus sinuatus (Olivier) (Buprestidae) developing in pear Pyrus communis L. in southern England. The Coleopterist 14(3): 141. Twinn, D.C. (2003). A first record of Agrilus sinuatus (Olivier) (Buprestidae) in Essex. The Coleopterist 12(3): 120. Dutton, A. (1998). Agrilus sinuatus (Olivier) (Buprestidae) in Nottinghamshire. The Coleopterist 7(3): 76. Alexander, K.N.A. (1997). Agrilus sinuatus (Olivier) (Buprestidae) widespread in Shropshire. The Coleopterist 6(2): 56. Duff, A.G. (1997). Agrilus sinuatus (Olivier) (Buprestidae) new to Somerset. The Coleopterist 6(3): 105. Hackett, D.S. (1995). Agrilus sinuatus Olivier (Buprestidae) widespread in London. The Coleopterist 4(2): 59. Heal, N.F. (1994). 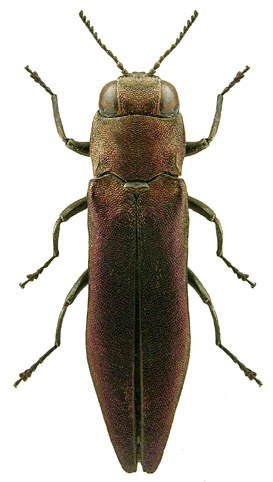 Agrilus sinuatus Olivier (Buprestidae) - summary of Kentish records. The Coleopterist 3(1): 22.